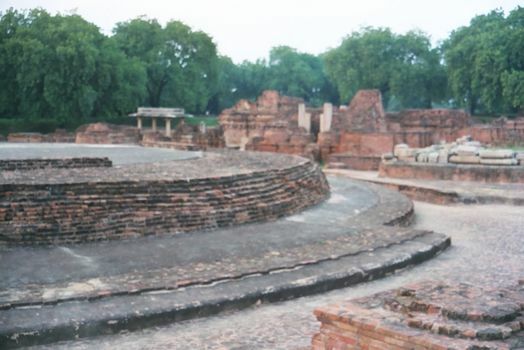 Sakyamuni, the historic Buddha, first preached the Dharmachakra, or "turning of the wheel," at the Sarnath deer park, on the northern outskirts of Varanasi. 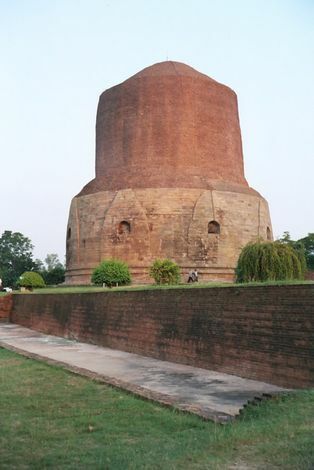 There are only foundations and sentiments left, except for this, the hundred-foot-high Dhamakh Stupa. The name is a corruption of "Dharmaksha," or contemplation of the Dharma. 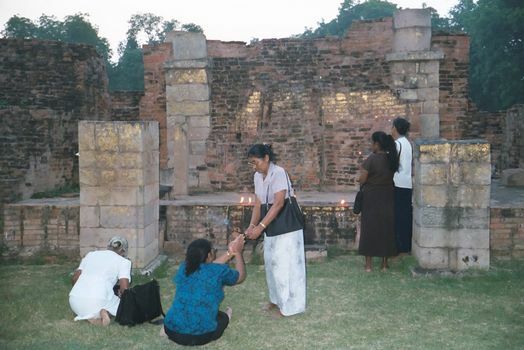 Built in the fifth century A.D., it marks the spot where Buddha had preached a thousand years earlier. The top--apparently never completed--is brick; the base or drum is stone. The eight niches on the drum probably contained images. 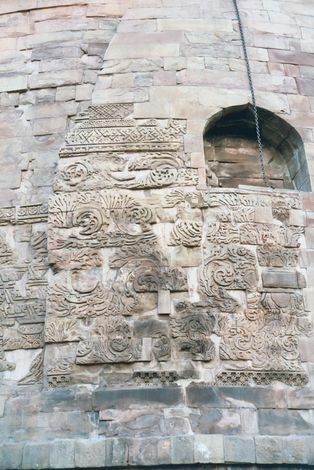 The stone drum has a residue of Gupta ornament. 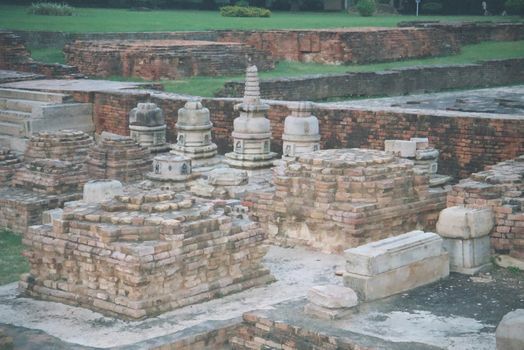 Base of what once was the Dharmarajika Stupa. The ruins dates from the Muslim invasions of the 12th century. The main shrine, opening to the east. The most serious visitors are from neighboring Buddhist countries.